Be advised that the solution you will see in this post will be irreversible - Please use source control and back up your database. You may never have noticed this table in your database but it's there. It is used for storing meta data about your migrations and if we want to start over we need it gone. 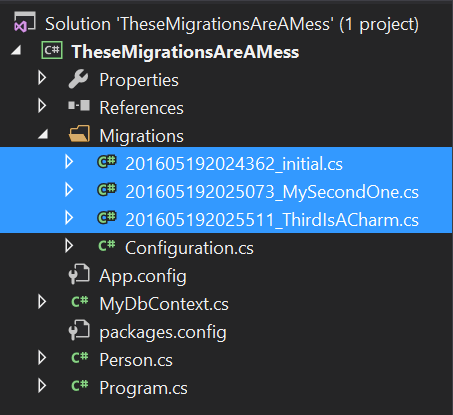 Locate your migration files in the solution explorer - There is one for each migration you have done. You can name it whatever you want but initial seems to fit the purpose. 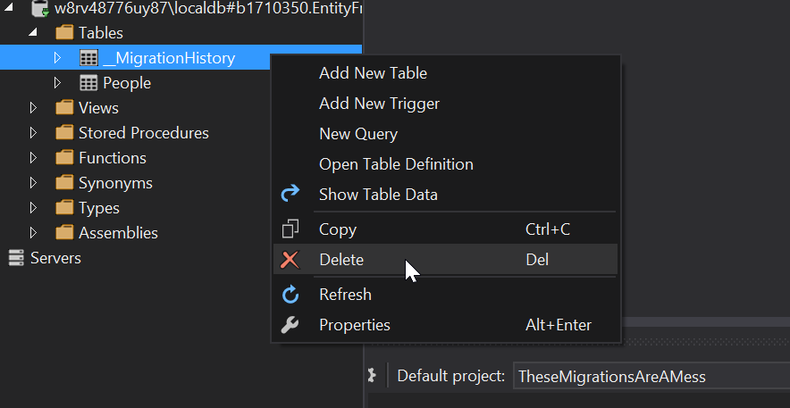 Now we have our migration but we like the database just the way it is. That means that we don't want to actually run the migration. However we need for code first migrations to believe that we did so that we can move on. Go into your new migration file and comment out the code inside the Up() method. That way we can run an update-database without any sql-updates being run.